Evangelical Christians prize truth and goodness. It seems like we write and talk about what is true and good often. We should. But, what ever happened to beauty? For the ancient philosophers and theologians beauty was always considered in relation to truth and goodness. If something was true, it was also good and beautiful. For something to be good, it also had to be beautiful and true. For many of our theological forefathers, compartmentalizing these great transcendental realities would deconstruct the majesty of the whole. Yet we rarely talk about beauty anymore. For us, beauty is no longer in concert with truth and goodness. So its always refreshing when I find a theologian who explores all three. Drawing from the writing of Hans Urs von Balthasar, specifically The Glory of the Lord: A Theological Aesthetic, theologian Dr. Stephen Garrett makes a wonderful observation relating the transcendental realities of beauty, truth, and goodness to the work of Jesus Christ and the cross. “[Beauty] seen through the One who is beauty, truth, and goodness, reveals an intertwined and interpenetrating triad that should not be compartmentalized. To separate beauty, truth, and goodness results in distortion and misunderstanding not only of the triad but also of Christ himself. 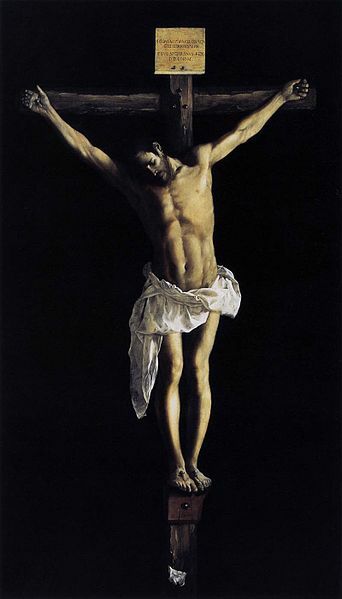 To see the act of Christ on the cross as merely beautiful is to turn towards sentimentality. To see the act of Christ on the cross as merely good is to understand Christ as a good moral example incapable of transforming humanity. To see the act of Christ on the cross as merely true is to reduce Christ to a brute unattractive historical fact that has no relevance for our lives. According to Garrett, the reasons for retaining an interconnected relationship between beauty, truth, and goodness are significant. The dangers of separating them are massive.